Has anyone figured out how much I love anything pumpkin related??? Well when the pumpkins are cute, decorative and edible, I called that YUM and a win-win situation. 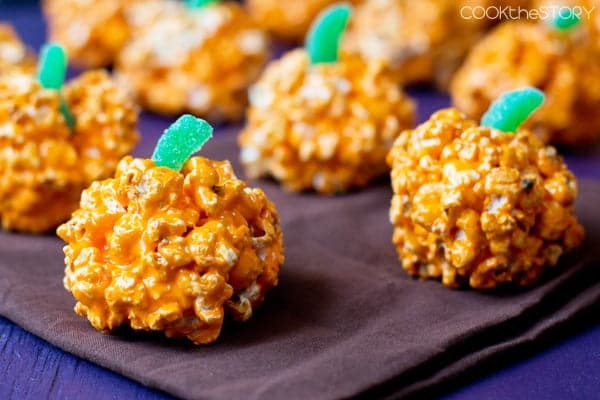 These just went to the top of my “to make” list for Halloween treats. Please click the link below to discover where I found the recipe. Enjoy because OH YES – It’s A Wandaful Thing!!! Easy Marshmallow Popcorn Balls Recipe. This entry was posted in Uncategorized and tagged easy, Food, halloween, marshmallow, popcorn, pumpkin, yummy. Bookmark the permalink.